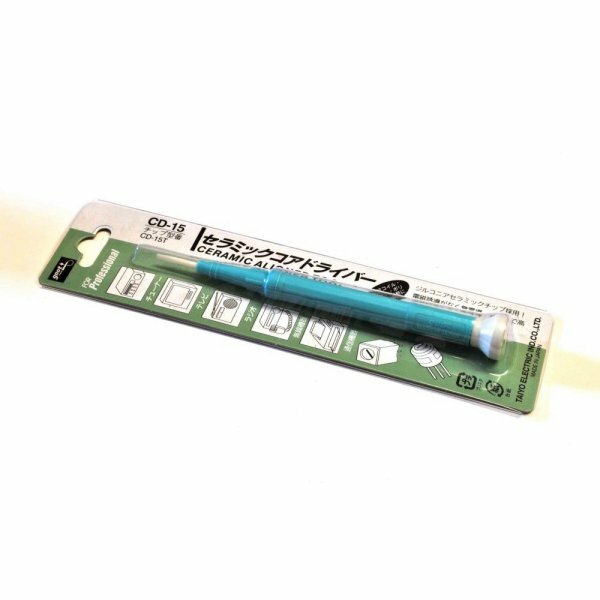 Produktinformationen "Ceramic Screwdriver for Adjusting Stepper Drivers"
These are for adjusting those little current setting potentiometers on stepper drivers. The non-conducting tip means that accidentally poking other components, pins, or traces won't damage or interfere with the stepper driver. Using metal tipped screwdrivers while the driver is powered on can cause damage to the driver or even the controller board. Additionally using a metal tipped driver often introduces electrical noise during the adjustment as the metal driver acts as a small antenna making precise adjustment hard. Weiterführende Links zu "Ceramic Screwdriver for Adjusting Stepper Drivers"
Kundenbewertungen für "Ceramic Screwdriver for Adjusting Stepper Drivers"